Baked inside of a roasting bag. Does steam in the oven give a soft crust or a hard one ? I like a crusty loaf. Why two risings rather than one ? I have a retsel mill-rite right now which takes ten minutes to mill 125g of white whole wheat flour on the finest setting that does not glaze the stones or jam the mill. The flour is AMAZING. It feels like silk, except for a few course particles of bran (which I sift off). I can feel little to no granularity, its finer than the Bob's red mill stuff I can buy from the store. Q: Komo grain mill can mill about 8 times faster than retsel at the fastest setting (assuming the figure that Komo provides, Fidibus 21). I am thinking about buying that mill. However, I want to make sure that it mills as fine a flour as my retsel on the finest setting- that is, silky, with very little granularity. Does anyone have experience with this mill on the finest setting? Many years ago, we lived for a while in a small town in France. Every day I would walk to the bakery around the corner to buy our daily baguettes. Could life be any better? When it was my turn to order, I would conjure up my finest French: “Bonjour, Madam, je voudrais deux baguettes, s’il vous plait.” To which Madam would reply “Combien”? How many? I would meekly raise two fingers. As this continued over days and then weeks, I asked my bilingual friend why there seemed to be a failure of communication. “When you say deux baguettes”, he said, “the French hear ‘de’. De and deux are not pronounced the same. You need to extend the pronunciation of deux, drawing out the end of the word and lowering your pitch. The proprietress hears you asking for de baguettes”, a grammatically nonsensical request for some baguettes. But I knew that Madam was really just having her way with me, a little fun with l’americaine stupide. And so it went. Until it was time to return to the United States. We did not want Madame to think, if we simply disappeared one day, that we had taken our business elsewhere. So we went to the bakery for the last time and managed to convey to Madame that we were returning home, that we would miss les délicieuses baguettes, and we wished her well. In return, she wished us bonne santé and told us we should revenez bientot, come back soon. And then smiled! Now, these many years later, while I await the magic of flour, water, salt and yeast and its promise of a Proustian feast of deux baguettes fresh from my own oven, I think of Madam. These baguettes, scaled to deux, from DonD’s baguettes a l’ancienne with cold retardation, transport me back to France like no others. The Finnish Rye that isn't. This is my second take on the SBFI Finnish Rye. Didn't get so much spring on the first take, but it was tasty and seemed pretty popular. I only got one slice out of two loaves. This time I focused on a little more gluten development, mixing for about 8 minutes, then adding the soakers and mixing for another 3-4. Bulk ferment was 3 hours with three folds, final proof about an hour both at 78F. Also added a couple of Tbs of vital gluten to the mix. The dough is pretty sticky stuff; wet hands help. Baked at 20 minutes @ 460 with steam, then another 20 @ 460 without. We'll see what it looks like inside tomorrow. So I used my usual SD recipe that I typically form into a boule and tried baguettes using a shaping technique where you make a rectangle, de-gas, fold lengthwise to the middle, roll/pinch, roll/seal, elongate as found on you tube. I skipped the elongate step because my loaves were already long enough after taking my pre-forms to the first rectangle. I guess I could have made them too long and cut them then. In the past I simply made a long tube and didn't do any other kind of forming. From I see it looks like the baguettes rolled, split on the bottom (now side)seal. The crumb wasn't terrible, at least not where the loaf had a chance to expand. Are the odd shapes just a result of poor forming and irregularly de-gassing? One thing I noticed here, and when I also form boules, is that I tend to get a fair amount of surface bubbles when forming. The baguettes looked like warted frog skin, I popped a couple but didn't like how it looked. During the final proof the bubbles seemed to go away. ps (What's the best way to include photo's) Other than the thread avatar it seems a bit cumbersome. Over the last two days I'v been building my levain up preparing for my weekend and for another crack at my new pullman pan. First thing this morning I darted out and picked up some triticale some oat bran and some blue corn meal. As my flour water mixture was autolysing I scalded the cornmeal and wrung it out with cheese cloth, then I added it to the autolyse. Autolyse complete I gave it a few stretch and folds in the bowl, added the salt and gave it thirty seconds or so of slap and folds followed by a brief rest and another even shorter set of slap and folds. I bulk fermented it for a relatively short time, proofed it for a bit longer then bulk and baked it it a 450 degree oven for half an hour then at 430 until it was done, uncovered the loaf pan about fifteen minutes in to the bake and I removed the loaf from the pan when there was about five or so minutes remaining, then I let it dry out in the oven while it was off and with the door cracked. My formula is as follows. The triticale tastes awesome, a lot like rye, but it acted considerably different, while it did feel relatively low in gluten it was considerably easier to work with, and I think the blue corn was just the what it needed, both aesthetically and as a sweet off set to the heavy earthiness of the triticale. I will be including them both in future bakes for sure. I am looking for a small single phase spiral mixer and would love some advice. Currently I am trying to decide between two mixers, one has a breaking bar and one doesn't and they are both single speed. How big does a mixer need to be in order for a breaking bar to be necessary? In what situation do you only use first speed on a larger spiral mixers? Would one speed be enough? I am mixing half whole wheat (or more) high hydration dough. If you have experience with these mixers or any other mixers in their class, please let me know. Also, if you own one of these and can shoot a little video of it at work, especially the German one, that would be GREAT. This is my first entry and I hope that I can find some help. 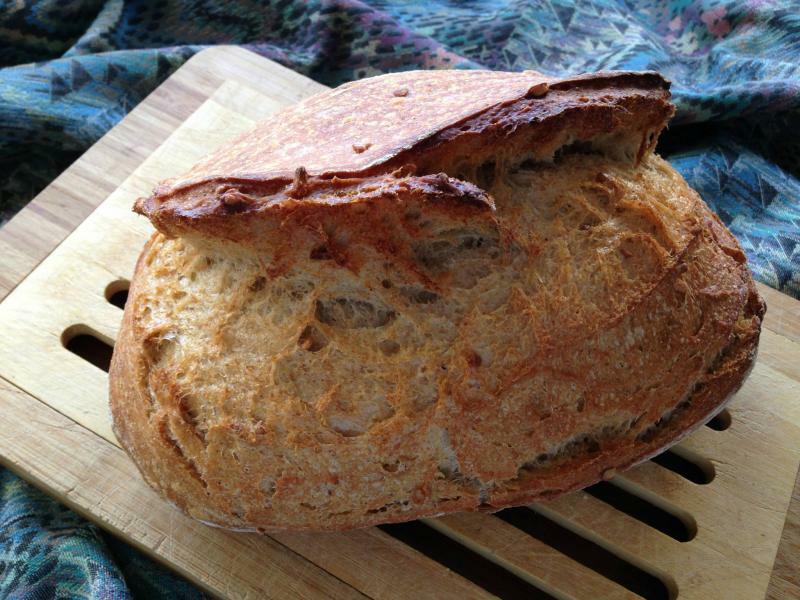 I bake mostly sourdough loafs (75% hydration) with organic Bobs Red Mill flower (90% white, 10%wheat, or sometimes 10% sprouted spelt). Mostly I am very happy with the texture and taste of the bread, however I have one reoccurring problem…sometimes my bread will stick to my benneton during the final resting period. Is it a matter of not dusting the bowl with enough flower? I have tried letting it rest at room temperature for 4 hours, or overnight in the refrigerator (8 hrs), but I have had it stick both ways. Any advice? I have a alive and healthy sourdough starter! Followed the directions, feed it weekly and it works great! 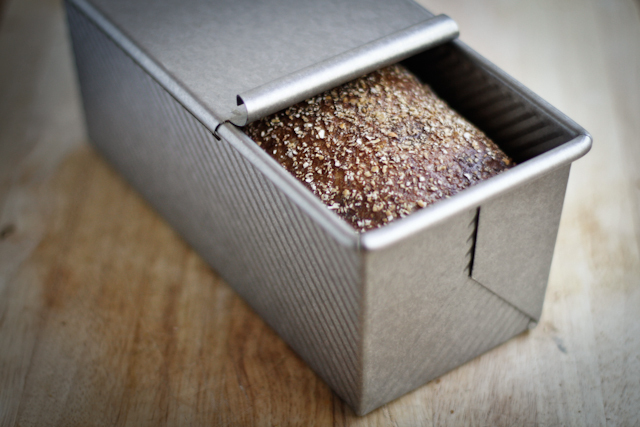 Now I really want a 100% whole wheat starter and 100% rye starter. Any tips or suggestions? 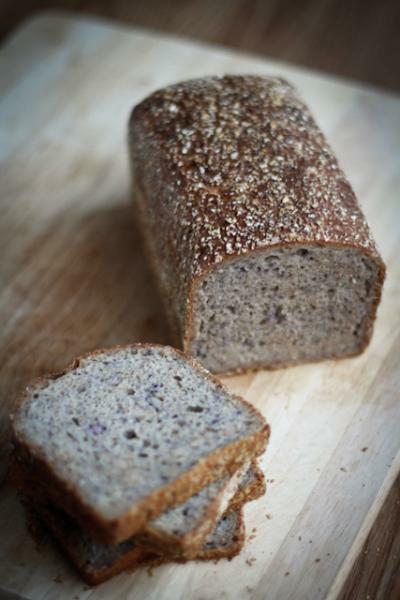 For the rye one, what rye flour should I use? 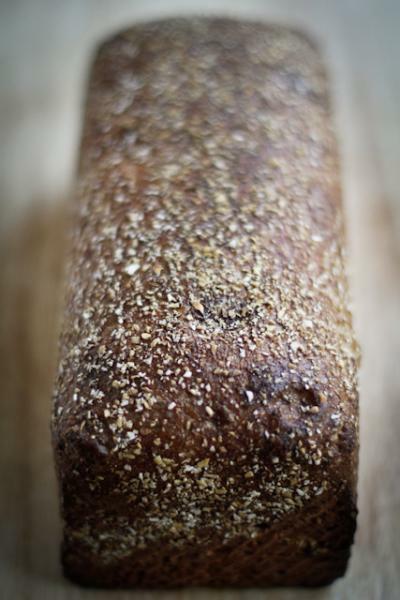 Dark rye, light rye, or whole (pumpernickel) rye? Also, I am trying my first time baking baguettes tonight (almost done with the bulk fermentation), any suggestions on the best way to incorporate steam into a oven would be greatly appreciated! I tried baking with steam once, and I feel like I didn't get enough in there. I'll take any advice I can get.